We provide specific recommendations on nutritional supplements and healthy food chocices to enhance our patients return to optimal health. Dr. Schepp will provide a structured nutritional program based on your individual needs. The easiest way to find out if we are right for you, is to give us a try! Bring this coupon in for your free consultation, and examination. 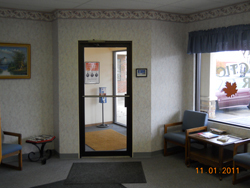 Copyright Community Chiropractic of Hartford, WI 53027. All Rights Reserved.